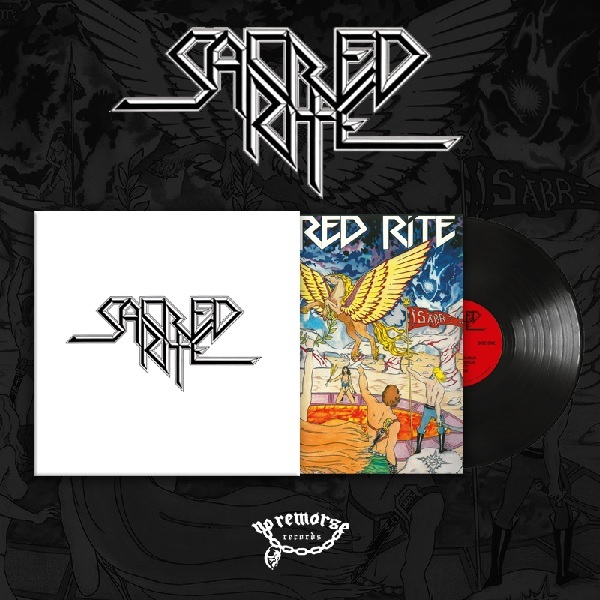 Sacred Rite was formed in Honolulu, Hawaii as "Sabre" in 1981 by guitarist Jimmy Caterine and drummer Kevin Lumm. Mark Kaleiwahea (vocals, guitar) and Peter Crane (bass) completed the line-up and the band started writing original material the following year. In 1984, the first album was recorded and the name of the band changed to SACRED RITE! The first pressing ofthe self-titled album was completely financed and distributed by the band, and in the next year it was released again with a different cover. Sacred Rite is an underground classic metal album. One of those obscure metal albums we love to worship. We summon you into the night, can you hear the sound? Presented with 2 cover sleeves, the original "logo cover" of the 1984 private pressing and inside the cover of the 1985 pressing. Includes insert with liner notes and lyrics.